Monday was heavy with big news stories about legal AI applications. Tuesday also saw some announcements, which Artificial Lawyer has briefly outlined below. First up, iManage/RAVN. iManage Extract 3, an enhanced version of its award-winning artificial intelligence (AI) data extraction application. o Enhancements in iManage Extract 3 include rapid self-training, which enables users to train iManage Extract 3 to locate and analyse content from documents and datasets relevant to their specific needs, without dependence on AI experts. 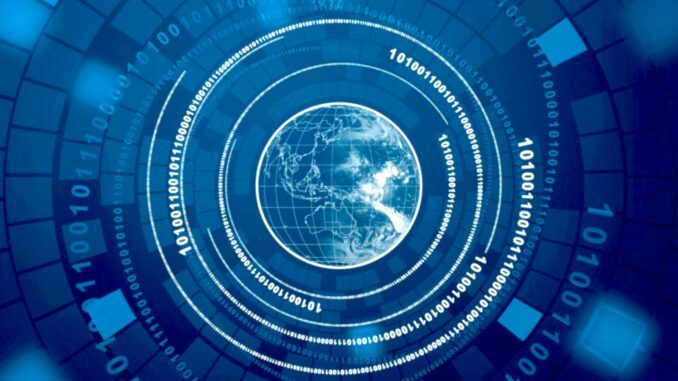 o This enhancement helps organisations speed development and deployment of new data extraction applications, speeding the automation of tasks across the enterprise. o Using RAVN AI technology, Insight 10 unlocks knowledge contained in enterprise content, by enabling universal search to identify relevant content regardless of location. o For example, the product’s Insight Knowledge Graph surfaces connections between people, expertise and knowledge to identify hidden experts, related projects and relevant clients. All well and good. 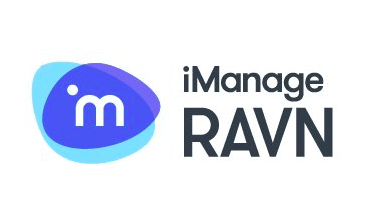 Perhaps not Earth-shattering, but then, as previous interviews with RAVN co-founder, Peter Wallqvist, have explained, the merger with iManage was not intended to create a massive revolution overnight, but was – at least at the beginning – focused on integrating the DMS tech of one company with the AI review and extraction capabilities of the other. These developments had to happen first and if they didn’t then the merger would not make much sense. So, this is a very positive step. However, Artificial Lawyer hopes that the development path is now clear for more market-shifting AI tech. 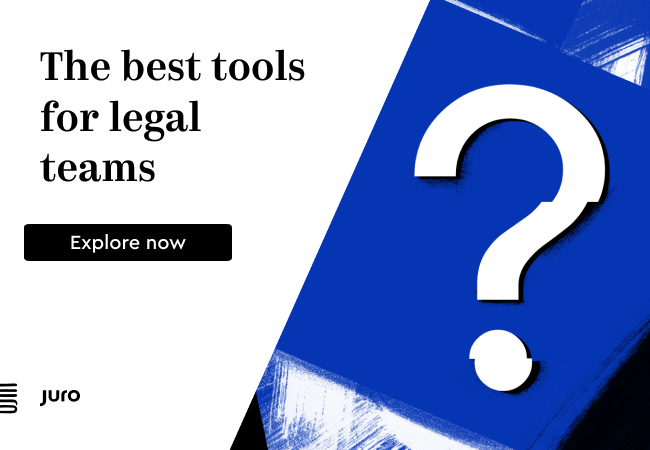 Alternative legal services provider, Axiom, which for some time has worked with Kira Systems and other tech companies, has launched a legal AI doc review platform, it says. ‘The platform couples AI-driven analysis with business intelligence capabilities, allowing users to visualise data and derive insights from a single source. ‘This is an end-to-end platform for efficiently converting contracts into structured data enabling us to deliver tools and services to our clients that deliver critical insights from the contracts we reviewed,’ they added. It’s still not entirely clear where 3rd party AI input begins and ends here, but perhaps the best way of looking at this is to say that Axiom has created a new user interface, AKA platform, that allows clients to exploit the capabilities of Kira and other legal AI companies. 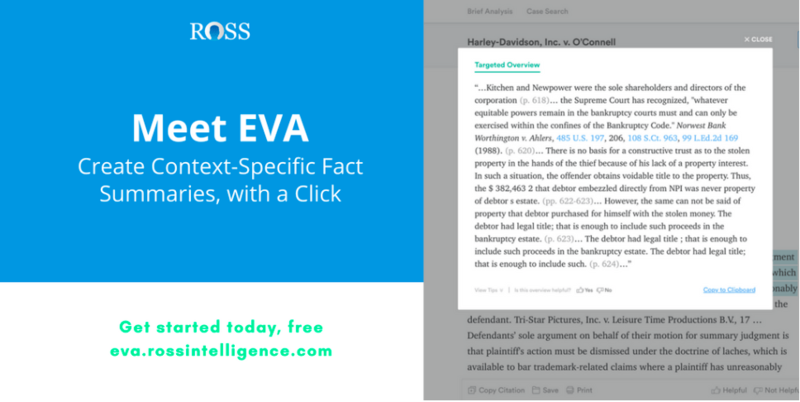 Earlier this week, ROSS Intelligence, most well known for its legal research tool that covers areas such as US bankruptcy law, among others, surprised the market by announcing it had created a case analysis tool called EVA, that was not a million miles away from the one that CaseText has. The announcement promptly triggered a friendly and good natured showdown between the two companies that saw each one show how they handled case analysis on their systems. So, there you go. 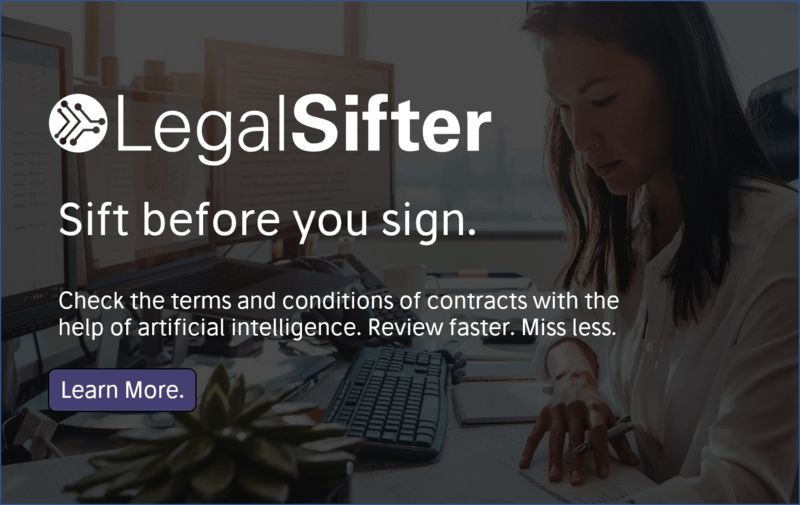 Artificial Lawyer will keep you posted as more legal AI news arrives.